Job Grant Is Finally Launched In Ontario!! Dear Ontario-based business owners,As promised I am sharing good news with you as soon as I got them myself. Just a few hours ago, this morning, the Government of Ontario announced that Canada Job Grant is now accepting applications. Hope this information will be useful for you and your business. This Tuesday and Wednesday September 23-24 Advanced Manufacturing Expo 2014 (AMExpo) will take place in Missisauga, Ontario. Dear readers,Hope you enjoyed summertime. 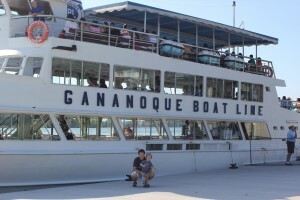 As for me, I’ve just been back from 1000 islands trip with a family and it was great! So, the new business season is coming and in its beginning we decided to introduce you some NEW government programs that are available for Ontario-based businesses this fall.